Creevela Works, Parsonage Cresecent, Walkley. Controversial proposals to knock down a 200-year-old building and put up new housing in its place are expected to get the green light. Plans to demolish Creevela Works, on the corner of Parsonage Street and Parsonage Crescent, Walkley, and build a single block of six apartments in its place, are recommended for approval at a Sheffield Council meeting on Tuesday. 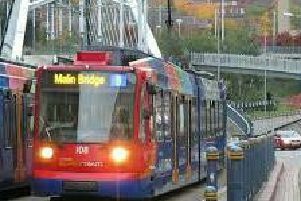 There have been more than 30 objections from neighbouring residents, backed by Walkley councillor Neale Gibson, the Walkley Community Forum, and Sheffield Central MP Paul Blomfield. Opponents say Creevela Works is one of the oldest buildings in Walkley, and have called for it to be converted rather than demolished completely. Campaigners have also raised concerns over parking, road safety and the design of the new building, which they claim is ‘out of character’ with the surrounding area. The building is unoccupied, but was previously used for 18 years by the applicant, cladding firm Clear Line, as an office and depot. The works – an old barn – are understood to date back to the late 18th or early 19th century, and once formed part of a farm. Under Clear Line’s proposals, the split-levelled, three-storey block would offer four two-bedroom and two one-bedroom flats. Parking for seven cars would be offered. Proposals to knock down the works and turn it into four town houses were turned down by the council in 2014, a decision which was later upheld by a planning inspector on appeal. In 2006, planning permission for demolition, and a new three-storey building with six one- and two-bedroom apartments was allowed following a public inquiry. A series of conditions would have to be met before development could start.